The 11 Best Places for Live Theater in Utah! If you have a love for the stage, you don’t have to travel as far as Broadway to see the best of the best! Utah is home to an abundance of theatrical talent, from amateur to professional. 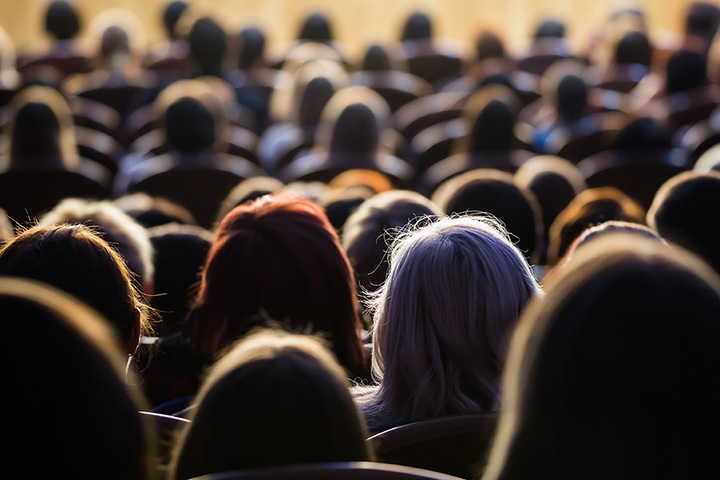 Whether you’re looking for a drama geared toward adults, or a kid-friendly play, Utah’s theaters regularly put on well-produced and entertaining productions. The following 11 theaters are home to some of the best in the Beehive State! Known for its musicals, the Tuacahn Amphitheatre is equally entertaining as it is scenic. Surrounded by stunning red rock vistas, a night of fresh air and entertainment at the Tuachan will knock your socks off. The SCERA Center for the Arts is a Utah community staple. With outdoor musicals in the summer and other plays and musicals throughout the year, the SCERA only becomes more appealing when you learn it also includes a colorful, old-fashioned waterpark. With two central locations in Utah, many Utahans get their dose of drama at a Hale Center Theater. The productions are family friendly, extremely well-curated, and affordable. Annual memberships to the theater are also available. One of Salt Lake City’s premier locations for live theater, the Pioneer Theatre Company is popular and can be expensive. That said, if you reserve your tickets in advance, you can save some money! There’s not a bad seat in the house. Patrons agree that although the building could use some work, the acting is top-notch. The productions appeal to all ages and ticket prices are markedly reasonable. What more could you ask for? Geared more toward adult audiences, the Salt Lake Acting Company is located in an old Mormon church. The humor can be off-color, and is intended for more mature audiences only! Part of the Cache Valley Center for the Arts, the Ellen Eccles Theatre was built in 1923 and is now the largest full-production stage north of Salt Lake City. Featuring operas, ballets, and drama, the theater offers some of Utah’s finest performances. Located in the Harris Fine Arts Center on Brigham Young University’s campus, BYU Arts offers world-class musical and theater performances. Featuring famous titles such as “Mary Poppins” and “The Crucible,” student actors and faculty directors do not skimp on anything for their professional productions. Accented by stunning mountain views, Summer Theatre productions at Sundance Mountain Resort feel almost otherworldly. A great bonding activity for families and couples alike, attending a Sundance summer performance is a must for many Utahans. Featuring both indoor and outdoor theater, the world-renowned Utah Shakespeare Festival takes place every summer in Cedar City, Utah and attracts visitors from across the globe. Focusing on Shakespeare’s masterpieces, the festival also features more contemporary musicals and plays. The top dog at the Davis Center for Performing Arts, CenterPoint Legacy Theatre features volunteer actors who really know how to put on a show. A community gathering place, the plays and musicals are perfect for families and although some shows are better than others, the staff is always friendly. View more Utah Theaters and Playhouses.